Boeing already has its plans for ramping production of the 737 back up from the current rate reduction of 42 airplane per month. Boeing originally planned to go to 57/mo in June or July. The rate was reduced from 52, citing the MAX grounding as the reason. But talk on the sidelines here suggests there may be another reason: continued slow engine deliveries from CFM. Boeing is out of parking space at Renton Airport to store the grounded MAX. Around 20 airplanes have been flown to Everett’s Paine Field. But without engines, planes can’t be ferried. Without more parking space at Renton, there’s no place to put the airplanes. Hence the slower production rate. CFM is running about two weeks late on deliveries to Boeing, says a CFM supplier. Airbus hasn’t launched the Xtra Long Range A321XLR, nor has it announced an Authority to Offer (ATO), but its sales force is out there selling the airplane. According to information here in Atlanta, XLR positions for 2023 are already sold out. The launch is expected at the Paris Air Show. Suppliers and others here at the show look for Boeing to have challenges for the 777X. With 72% of the orders from the Big Three Middle East airlines, the customer concentration is not a good thing. With Etihad Airways essentially bankrupt and wanting out of the X orders and Emirates Airline down-gauging due to over-capacity, neither carrier is the once solid X customer it once was. 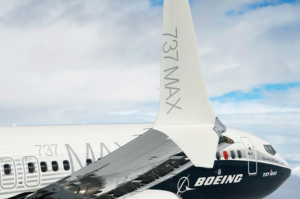 Coupled with the prospect the FAA certification process may take longer because of the intense focus over the MAX certification, Boeing may be looking at stretched out deliveries and a much weaker production ramp up than planned. This will upset some free cash flow assumptions. FCF, of course, is what funds shareholder benefits to the tune of some $7bn a year. I do think the stock will lose significant value over the next 18 months, but it’s resilience has amazed me thus far. They need to get moving asap on the NMA and NSA both, and just take the hit on cash flow for a few years. Afaics the biggest continuous buyer of Boeing stock is … Boeing. Rather easy to manage your own stock value that way? Share price is dropping … when Boeing eventually steps forward to purchase the next 9 billion $ worth of their own shares at the lowest, we’ll all know they’re about to announce their final fix to the MAX, the MCAS 3.0 = all duly considered, the MCAS Series 1.0, 2.0 and now 3.0 could prove a brilliant insider strategy pushed by the Board ! Let me see, is Boeing using its shareholders’ money to keep the share price high a bit like using shareholders’ money to disguise that, underneath it all, the business isn’t doing as great as it appears? That’d be true if they weren’t paying a dividend, but a quick search shows that a dividend has been paid quite consistently. If they’re burning profit to do this, and there’s profit left over, and no increasing debt pile then it’s just a form of returning shareholders money to them without them paying tax on the profits. Caveat – I’m certainly not a financial whizz – experts please step in at this point. If you can play with deferred production, pension moneys, tax gifts and some other stashes all aided by compromised US GAAP everything is possible. There is nothing around in that domain that is not compromised. Mathew: Some will argue with facts but I don’t. So far with their innovative accounting (my opinion it illegal) they have manged it and if there was not money coming in they could not do so. As my financial guy tells me, its the long run that counts. Transworld, I broadly agree, especially on the point about the long run being what counts. Pity Boeing don’t seem to be very good at long term thinking. “WoodTrust Financial Corp grew its holdings in shares of Boeing Co (NYSE:BA) by 76.4% in the 4th quarter, according to its most recent disclosure with the SEC. The fund owned 10,589 shares of the aircraft producer’s stock after purchasing an additional 4,585 shares during the period. Boeing makes up approximately 1.9% of WoodTrust Financial Corp’s holdings, making the stock its 19th largest position. WoodTrust Financial Corp’s holdings in Boeing were worth $3,415,000 as of its most recent SEC filing. The MAX grounding will have a surprisingly small impact on the financials compared to current profits if they can get it back up without any ongoing compromises. To put it another way a 0.5% improvement in the learning curve is far more important. Well, they now have a deal for a relatively new small aircraft from Brazil. And of course the nose section for a more efficient narrow-body airplane (the 757 which has flight deck commonality with the 767). What they want to do with fuselage width is a question, in the lean 70s they were working in back rooms figuring out parameters for fuselage width, the 767 was the result of that – worked well except for inability to handle regular LD3 containers. If MAX grounding of the MAX extends well into 2020, what are the chances that production would grind to a halt? Hmm, that should read: If the grounding of the MAX extends well into 2020, what are the chances that production would grind to a halt? If the World gets hit by a big asteroid, what are the chances of Airbus production coming to a complete halt?. If and Volcano in Iceland goes boom, what are the chances of Europe coming to a complete halt? OK, so what you’re trying to say is that the likelihood of MAX production grinding to a halt in the near-term — due to the grounding possibly extending well into next year, or longer — is about equal to the likelihood of a near-term Extinction Level Event (ELE). Hi! shouldn t it read “Emirates Airline down-gauging due to over-capacity…” ? “Etihad Airline down-gauging”, Did you mean Emirates, Qatar, Singapore? Positive thinking never hurt anybody. To me it depends on regulators outside of America. I don’t think they will be convinced by end of July. Too many questions need answering. But anyway I’m not flying on a 737 MAX. With regard to the XLR. Might as well. Boeing can’t match the A321neo, LR and now the XLR. Easy money. Still think Boeing should do an A321 replacement, 170-240 seats. You mention Etihad twice in one paragraph – is one of those meant to be Qatar or Emirates? @Dave and @Ted: You are correct. My dyslexia strikes again. Scott: It just keeps getting better the older we get! Caveat Emporer or something like that. It may appear as if AA, UA and WN are at risk of having to operate half-empty or near-empty MAX aircraft once the grounding is lifted. A poll conducted by Business Insider one week after the Ethiopian Airlines crash revealed that 53% of American adults would not want to fly on a Boeing 737 Max even after the FAA clears the aircraft for service. 53% of people who actually pay attention to the aircraft type they are flying in, my guess less than 10%! Well, if 10 percent of air travelers would actively avoid flying on the MAX in the future, airlines should not be surprised to see a significantly lower load factor on their MAX fleet, going forward. The same people were asked “Who wants to be a fire engine’… 123% said weehoo…weehoo… weehooo. That is… People say what their expected to say… Surveys are pretty useless in the time of quick-media and conform-or-die. I do think that people are much more aware of the MAX name/brand, and that has been tarnished. It could have a negligible impact… But a rebrand may help… Referring to it as a 737-8 instead of -8MAX when doing safety demos and on safety cards for example. Boeing’s Muilenberg + wife travelling on a MAX-8 together with Donald Trump + wife to some posh outing is what their PR people need to fix, with lotsa paparazzi going with. Might be tough though to get clearance from Special Service to let the Trumps board the MAX without parachutes ? If the First Lady shows an open smile : that might make a point. People take selfies drunk and step off cliff at Yosemite. They stick their heads hand and put their bodies in cages with wild animals. By en large, they are oblivious. Muielenberg doesnt know how 737s are built. His last job before Boeing CEO was the non airliner side -Boeing Defense, Space & Security at St Louis. Perhaps… for the first week.. people are to pre-occupied with other matters than checking and adjusting their schedules based on 737-max planning. Not wanting to fly on them is one thing, acting on it is another. More the vocal ones were. Most had not a clue. My wife flew during an A320 issue that they gave them years to resolved, should have been grounded and fixed immediately . Only consolation was it was well known. Yeah, for sure passengers will flock to the MAX — operated by AA, UA and WN — even if the aircraft were to remain grounded outside the U.S. In regards to the A321XLR. I do not look at that bird as an answer to the hypothetical 797. It is rather the normal evolution Airbus frames go through. If it is possible to squeeze a little bit more performance out of the frame, Airbus will squeeze. If the 797 will really be launched and I have grave doubts, we will see an answer to that by Airbus. Expect an A350XWB like answer ( to the 787 at the time). How “tech ready” is Airbus nominally laminar flow wing design actually? The problem for Boeing is that even if the A321XLR is not a match for the 797, it’s going to be close-ish. And Airbus are selling them already, even before it’s been announced. If this carries on much longer, we won’t be talking about whether the A321XLR is a good answer to the 797; we’ll be asking ourselves whether the 797 is a good answer to the A321XLR. I’m fairly convinced the reason the 797 hasn’t been announced is because Boeing have been asking themselves that very question for some time now. The A321XLR might have more updates than we think as Airbus engineers are getting thru most projects. The A350-800/-900/-1000 is “done”, the A330neo-800/-900 done, The A380 closed, the A400M “halfway done”, the A320neo series “done”, the A220 “done”, ATR72 sucessor “halted”, A330ceo Belugas “done” so it is just cost reductions, reliability improvements, weight reductions to work on. On the horizon we see A220-500, A350neo, A322 with new wing/wingbox, A350 cargo, A350-1000 ULR and the helo programs (manned + unmanned) hadly enough to keep all engineers busy unless a few thousands are transferred to the new French/German “Mirage-Messerschmitt” . I wonder what assistance (if any) the suppliers have in their contracts for production slow-down / pause / stop situations. Please flesh out your statement: “Etihad Airways essentially bankrupt”. This would be helpful news for financiers if true. AJB: Haven’t you been reading the news over the past two years? Scott, definitely aware but bankruptcy a leap from soured investments. They seem to be able to raise enormous cash from the capital markets, presumably with the support of their strong parent. I’m not defending them, just asking. Yes . I was thinking write downs of previous investments involves money spent long ago, and if the cashflow is OK and you dont have a public company shareholders to worry about, business can carry on. I thought I would look up Etihads financial accounts to see what they said- No luck as their website shows the latest ones as only 2015 FY ! I am thinking Scott is getting at the poor financials in the context of Etihad being essentially a vanity project. Abu Dhabi unhappy at neighbouring, poor, upstart Dubai’s success decided to invent a carrier. The Airline is dependent on the backing of the rulers and would quite quickly be in trouble without their backing. Especially in terms of financing big tickets items. This whole 737 Max MCAS “projects” is really unprecedented from a lot of perspectives. It somehow remides of this terrible accident called Brexit. This is why pretty much everybody involved appears to be on the back foot. The Boeing C-Suite, the engineering team, the FAA, the suppliers, the airlines,… you name it. And just like with Brexit, you hear lots of loud voices, shouting in the dark. But who would really know how this pans out? We don’t even know how bad the problem is with both the aerodynamics (stability) and the software. Let’s assume the stability is compromized to such a (small) level that the FAA will tolerate it and the rewiring, maybe additional AOA sensor and a new software can be implemented in say 2 months, fixes and repairs going on for another 2-3 months. Bad enough. But what if that’s not good enough? Or if the international agencies don’t play along? Will Boeing start to deliver planes that are allowed to fly only in the USA? Will the airlines accept those planes? And if, at what price and in which quantities? A more problematic scenario would be that the FAA finds that the stability problem must be addressed by a change of the hardware (landing gear, pylons, stabilizer, elevator, actuators,…). What’s the probability of this scenario? 10%? 50%? Will the Max then need a completely new certification? What if the investigators find that the certification of the Max was illegal? Would that mean it would be revoked entirely? Could it be “fixed” or “re-approved” somehow? Or would it have to be redone, including flight test and all? With new people at the FAA and new procedures that could easily take 2 years. Or more. In the meantime the market runs away, Airbus could use all the freed up capacities the suppliers would like to sell, most of all CFM. Could Airbus go to 80 or 90 single aisles a month over the next two years? Maybe the upper management at Boeing is shell shocked and they just don’t have a clear and free mind to make the right decisions and find their bearings. The video of Muilenbuerg certainly looks like a bad piece well rehearsed, but not like someone who has a clear vision on how to dig through this pile of sh**. Now I’ll stick my throut out and predict that the Max will not fly this year and that it will lose at least half its market share. The MAX will probably be back in the air before summer and will most likely work just fine. At the end of the day the fatal flaw of this plane was how the MCAS software interfaced with the flight control system. It was an awe-inspiring flop. They should have left well enough alone, and just included in the training the fact that the COG was slightly altered. A lot of engineering goes into these planes. Other then this particular problem, the MAX was working. It’s not cutting edge technology like the A220, but all that is a different story. How does it feel: Getting your wool pulled over your ears.? I believe BA should have replaced the B737 at the Next Generation time. I believe that BA was morally if not criminally irresponsible with this whole denial of problems with the MCAS. But I also think they can fix this so it will be flying before too long. This is probably what American, United, SW and many others are probably thinking. Boeing was not allowed to leave the push up issue alone, it did violate a flight standard. They for sure did hose up how to go about it. I don’t see how they could have done worse if they tried. I fully agrees, late June early July and it will be back ini the air. What a lot are missing is that FAA has all the entities along for the assessment, once its approved they wold not take too long to concur. At least one entity gets it and doing the smart thing. While this is tragic its also got blown out of proportion. Huge numbers of people die each day, 30k in the US in car crashes alone. People are asking if all cars should not have the latest safety gear the high end ones do! Air crashes have alwyas capture the public imagination and maybe always will. Boeing’s world is not ending – it will go on, they will return to their norm soon enough. 30k/year in car crashes, not every day. “How does it feel: Getting your wool pulled over your ears.? Sam, regarding the return to flight, I think you’re missing the point. The technical deficiencies (or otherwise) of the design are now irrelevant because of what else seems to have gone on within Boeing / FAA. The problem now lies in the fact that the certification process was clearly not fit for purpose. Nor was the management of the aircraft’s safety after the Lion Air tragedy. So now, returning the MAX to the skies requires (1) fixing the technical problem, (2) restoring the rigour of the certification process to a best-in-the-world standard, (3) satisfying the rest of the world that this has been done, (4) resolving whether or not all work done under the defective certification process has to be re-done under the rejuvenated certification process, (5) carrying out remedial certification work if required, and (6) addressing any new technical deficiencies identified as a result. Not until *all* of that is done will the MAX fly again across the world (it might be permitted to fly only in the USA for quite a long time). The timescales for large chunks of this process are not under Boeing’s, nor the FAA’s, nor the US government’s control. Also, various aviation safety agencies around the world have already said they’re going to do step (5) themselves independent of the FAA. This could easily identify major problems (they’re not going to permit grandfathering in of the original bits of the design) that might keep the 737MAX on the ground permanently across large parts of the world. And if that goes badly, and contradicts the FAA’s own findings, they may decide they have to start asking questions about 737-NG, 747-8, 787 and 777X certifications, all of which were or are currently being certified under the old arrangements between FAA and Boeing. Again, it doesn’t matter whether or not those aircraft have good service records or fantastic designs; if the certification process that put them into the sky is found to be inadequate by a foreign aviation safety agency, that agency would have no choice but to consider grounding them. For example, any inadequacy found in the certification of the airframe design w.r.t. to fatigue life would cause an agency to question what the fatigue life actually was. Afterall, if the FAA’s / Boeing’s homework on such a matter was wrong or incomplete, who’s to say that the aircraft in service are not about to fall to pieces? Particularly for high cycle count short haulers like the NG? That’s the fullest possible extent of the consequences of the failed certification process followed by Boeing and the FAA. As you might imagine, this is by far the greatest problem ever faced by the entire aviation industry. It probably won’t get that far, but there’s zero guarantee that it won’t. Boeing’s and the FAA’s rush to get the 737MAX back into service isn’t exactly helping either, because it gives the impression of pushing a “business as usual” adgenda when, really, business as usual is well off the table internationally. Business has not be as usual ever since the Ethiopian tragedy, and the FAA’s refusal to ground the MAX when it was clear to everyone else that there was every justification to be gravely concerned about the aircraft’s safety. Now that it seems the emergency AD issued after the Lion Air tragedy, we’re forced to confront the inadequacy of both Boeing and the FAA who issued it. So, with Boeing having that risk now on the company’s books, one does indeed have to consider whether the cost saving sought by fitting MCAS was really worth it, in comparison to your suggestion of just getting pilots properly trained on the new CoG. I agree with the risk, I also believe that the US Govt, FAA, Boeing will bully, cajole, bribe and entreat their way to a swifter solution. That might have worked in a different era. In an era where American exceptionalism has turned into American exemptionalism; where the FAA “gold standard” is long gone; and where it appears that corporate greed has prioritised profits over safety with tragic consequences for the passengers of Lion Air Flight 610 and Ethiopian Airlines Flight 302; IMJ it’s not clear at all if the US Government, the FAA and Boeing will have much success really in bullying, cajoling, bribing and entreating governments, regulatory agencies and airlines worldwide. If what you saying is correct then the game being played by Boeing seems a tad aggressive. I would have expected a little contrition and bridgebuilding feigned or otherwise. That’s more-less what I’m thing, what SowerBob contends about the system we have in place at this time as regards to actually who is running the show. That being said, this Friday morning (April 12) Southwest Airlines is canceling all bookings on MAX 8s till the first part of August. Just came across this where the 737MAX “hot & high” performance is in question. The MAX10 obviously will have field performance issues, the MAX8 come as us surprise to me? Thanks a lot for the link, Anton. This article brings in a very important new aspect into the Ethiopian 302 accident. They had 157 people on board, so it was not full. As the flight was heading for Nairobi they had “only” fuel for 2 hours plus reserve. Probably not much freight. So the plane was not fully loaded. Still it appears that the plane was on the edge of its capacities regarding “hot and high”. Maybe it was also on the edge of the normal flight envelope and this has played a significant role in causing the accident? Does that mean that the Max must be restricted to “low and cool” airports? Or maybe all systems must be upgraded, possibly including the wing? And this was only the -8. Does this implicate that only the (uneconomic) -7 will be able to fly everywhere? But the -7 should have an even bigger problem with possibly stalling due to its shorter fuselage (shorter leverage of the stabilizer and elevator). Increasing the power of the engines would improve “hot and high” capabilities, but would also increase the nose-up effect. To get rid of the MCAS and make the Max universally usefull it appears it needs not only stronger engines or larger wings, but also larger stabilizers and/or a longer landing gears and shorter pylons. Looks like crappy journalism. Someone writing something about things he does’nt understand. Oh, wait, that seems to be standard journalism. Would you care to explain/elaborate instead of just bashing around? Gundolf, despite your use of the super-repellant word “Brexit” (arrrrhhhgggghhhh! ), I read the rest of your post. I think the likelihood of your vision of the future becoming real is quite high. Certainly, if I were a Boeing shareholder and the company was telling me “it’ll never get that bad”, I would be interested to see their justification of that. And given the magnitude of the consequences, the justification would have to be pretty convincing. IF, there is an aerodynamic problem where the center of lift moves forward at high AOA, I would think the solution would be a larger horizontal stabilizer. A situation similar to the 747sp, or some other Boeing and Airbus aircraft that had larger vertical stabilizers on some of the shorter models. Would the 9 or 10 even need it? Does the A320neo need a bigger horizontal stabilizer, with larger diameter engines, and being shorter than the 738? I would be surprised to see any physical changes, although it was cool how quickly the 707 was adapted back in the old days with the ventral stabilizer or the shrink for Qantas. It will be very interesting to see hundreds of planes getting new stabilizers. And a new cert. I have read that Boeing said that the Max-7 needed protection from the C series because the larger Max frames were not suited for hot and high applications. If that was true – Addis? Seems to me that if Airbus are selling out of slots for the XLR they will be announcing a slew of sales in Paris — and I wonder how long they will hold off on the 220-500. Another year? (The original) MAX7 has the same large engines but a shorter tail. Was Boeing internally willing to fix the 7 with MCAS in the same way they did to the MAX8 ? The production drop makes sense, I didn’t like the explanations. CFM having their issue. And we are going to chastise P&W harshly? With all on board at the FAA, the MAX should be resolved by July. Maybe even end of June. It doesn’t surprise me Boeing has a wishful thinking production recovery plan. The XLR will probably end up beong better than expected based on what is known now. Airbus always comes up with a surprise. Is it is in fact true that all those slots are taken, then that may be an indication. I don’t believe anyone wants to recertify the 737NG or reopen fatigue life assessments. But I suspect that most of the airworthiness authorities will want to look at pilot certification for the MAX. It must be likely that some of them will find an hour on an IPAD insufficient and require a conversion course involving a simulator. That will cause trouble for airlines trying to get their crews through a small sausage machine – first you need simulators that can simulate the new systems/characteristics, then you need to squeeze your crews through before returning to flight. Hopefully someone at Boeing has a project plan open….. The engine shortage makes sense as the only reported drop in production is at FAL and all other aspects are gung ho to 57. There is sure going to be a lot of inventory lying around very quickly. When do we get our first pictures of grounded finished goods? By August we should have quite a parade to view! To add one more to my long list of mechanical issues with the 737 MAX. Some are saying that the left alpha vane broke off. If that’s the case why didn’t the vane’s controller return a hardware fault error to the FCC, instead of returning an AoA of 75°? For those who don’t inow, the vane’s controller is circuitry that turns the vane’s movement into electrical signals. The electrical signals are then sent to the FCC. The circuitry should have signals that represent mechanical faults. The vane breaking off is a mechanical fault. In other words, the vane controller should have health mornitoring like engines have health monitoring. The vane controller doesn’t appear to have health monitoring. Why not? To me until the above question is answered, the 737 MAX cannot return to service. 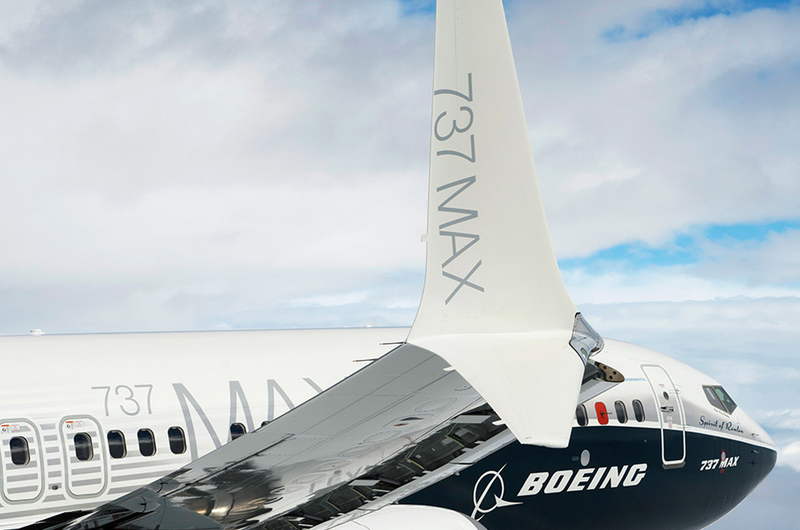 But then there are many, many questions that need to be answered before the 737 MAX can return to service. Someone said the earth is flat (whole group formed) , that makes it so of course and then we can fall over the edge. Was that Darwin who said the earth was flat for as you said he’s the gold standard in engineering. I believe I saw a post – can’t quite recall where, perhaps on Flight Global – indicating that MCAS also has authority to intervene directly in some unclear circumstances while in autopilot . That might explain the otherwise puzzling reports by US airline pilots of MAX nose diving while at altitude. All in all a speedy return to service does not appear in the cards as exhaustive testing – with multiple checks by various Toms, Dicks and Harry’s will be required as a prerequisite. My own swag is for year end 2019, but I’m an optimist with experience. A simplistic “the vane broke so all is well with the plane” will not cut it as the Emperor’s clothes will need to be examined😟. I for one don’t understand your words? Certainly your quote doesn’t quote me or anybody else I’ve read on this site. Equally, your second quote with regard to the vane – you use quotes – doesn’t quote me or anybody else either. The Emperor’s clothes – if you are going to insult someone, get it right. Presumably you know the proverb: “For the want of a nail, the shoe was lost, for the want of a shoe the horse was not”. The proverb is about seemingly unimportant acts or ommissions that have grave consequences. The left alpha vane was a single point of failure. It failed twice causing two airplanes to be lost, but more importantly 346 lived were lost. I will end by making clear, even if the left alpha vane was a single point of failure it should not have caused both airplanes to crash. By the way, it is Aviation Week who are saying the vane broke off! They are quoting ‘sources’ , but who other than Boeing would that be . Its AW after all. Boeing is still pushing the narrative that the cause is the pilots., but making sure its name isnt publicly linked to the stories. …. and it assumes all pilots are test pilot standard who know its a broken vane and using a simulator on might have beens …maybe ‘crashing the simulator’ a few times to get it right. The reduction in production of the MAX won’t hurt too much, they have a number of slots becoming available in the near future as Jet Airways enters its final death throes. Scenario – fix gets approved and max 8 back in the skys. Another max 8 for what ever reason crashes. What affect will this have on Boeing share price and confidence in programme. Will Boeing continue to reward its shareholders?! It looks like the market is moving away from the B779. It seems to be suffering from that worst of airplane launch woes… bad timing. By the time it has passed certification I reckon they will be up to 150 orders down on where they are now with the B77w or A35k size still being the market sweet spot. Coming up behind a A350-2000 near to launch with an unbeatable weight-engine advantage. BA has 49 on order? Thats because they still fly 34 747s , and the 777-9 ( or maybe even a 777-10) are the only possible replacements with hub congestion at Heathrow. My head still hasn’t got around the demise of the A380. I had already mentally slotted in B744 replacement with an Airbus mixed fleet. There still is a benefit to being the biggest in town and of course the B779 is that. I don;t know surprised but for sure interesting. The A350-1000 clearly has a lot going for it, how they techncially compared for what BAE needs and for it to fall to the 777-9 is interesting. It looks like its on track to replace the pretty good sized 747-400 fleet and slot need. Also this on the A380. I would not think 50 million is an issue in the regions of 250 million dollar aircraft and they all have to be furnished. Southwest has adjusted their opps plan to account for an August return. This is pretty good as well and an internal FAAdegree of honesty that we have gone so far and don’t have the money to get back from subbing out. Southwest and Ryanair should both order A220 500 and reduce their vulnerablity .They are both big enough that they have the critical mass to operate 2 fleets and the MAX is too much aeroplane for at least half of their routes.Only lack of maturity stands in the way at the moment(once it’s actually been launched) No doubt they have been pushing for eye watering discounts but logic will eventually prevail. Boeing are not stupid, and this why they are just about to respond . Heck, they aught to order the A220-300 now! Many of their orders now are the MAX7 to replace all them B737-700s. It is truly interesting how “Group Think” works. When you have a small fleet, one can understand picking one type of airplane for the fleet. With hundreds of planes it just becomes absurd. Ryanair subsidiary Laudamotion has an all Airbus fleet, therefore their bean counters have the option to churn the numbers on each fleet and their respective TCO. Southwest has been caught 3 times now by ‘one plane fleet’. The SWA 737-300s twice had fatigue cracking fuselage issues in flight. Luckily the planes didnt crash. Now the 737 Max twice has had MCAS upsets . 3rd time not so lucky. While I can see S.W. Pilots having issues with the 737, its not in their wheelhouse to question the business strategy of a one aircraft fleet. If I was a pilot I would like having as many certificates as I could get on my ticket, that is a degree of freedom that is nice. As South West is the most successful airline ever, I think its worth accepting they know a thing or two about this subject that bystanders do not. Of course anyone is welcome to work their way up to CEO of South West and set a strategy. A220-500 would be a complete no brainer for WN. Not only would it beat the economics of MAX 8, but it would also operate better at the types of airports that WN focuses on (e.g. MDW, HOU, BUR, etc.). On top of that, it would also give them a hard product that’s more appealing to elites, even without configuring it with any F or Y+ seats. But I don’t think they’ll do it. Old habits die hard, plus Boeing would probably give them a couple hundred free MAX 8s just to keep them as an exclusive customer. FAA announced that the Boeing 737 MAX is fixed and ready to fly with a few lessons on the I.Pad.